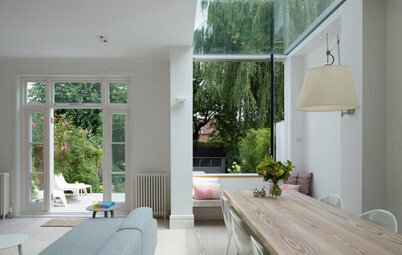 Houzz contributor, interior design project manager and blogger. I have a passion for all things beautiful combined with a meticulous eye for detail. Through my company, Feioi, I offer design advice and a complete project management service for stress-free interior design. A stunning fireplace makes a beautiful focal point in any room, but to really do it justice, take time to style the shelf and wall above it. 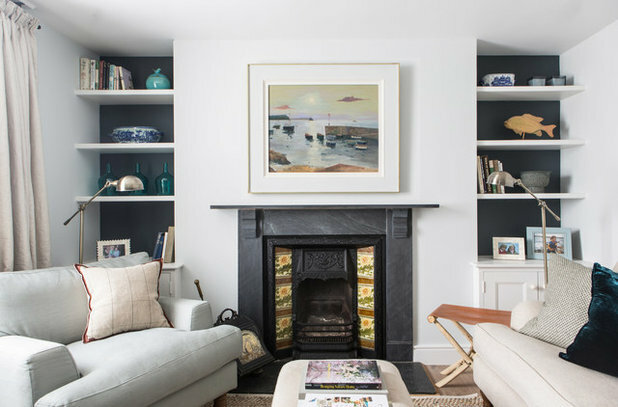 There are so many creative ideas and options to choose from when it comes to mantelpieces, so here are 10 great ideas to help create the right look for you. 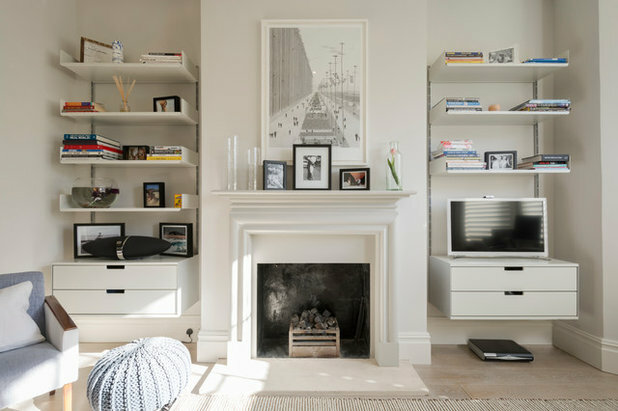 Sometimes a large piece of art is all you need above your mantel, and the shelf can be left empty for a clean, minimal look. Take a step back and consider the entire wall, and even the room as a whole. 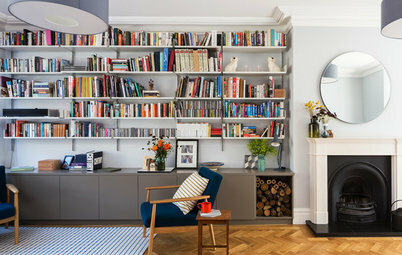 Many chimney breasts are flanked by shelved alcoves full of exciting things, so a minimal fireplace in the centre can be a contrasting breath of fresh air. 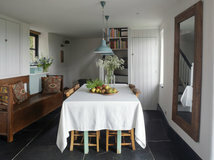 Filling every available surface can lead to a cluttered look and confuse the eye. A little space creates more balance and allows the focal points to sing. 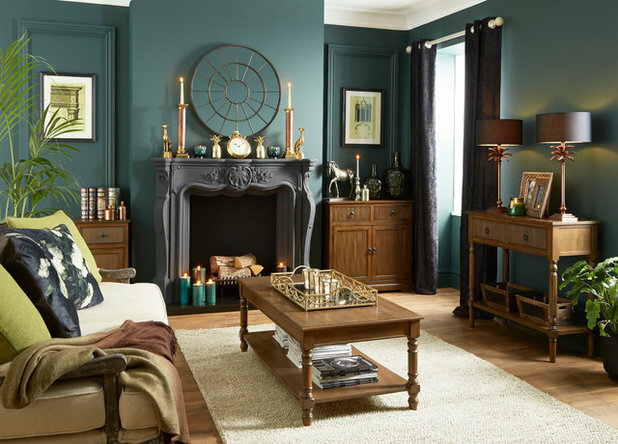 If your room has an eclectic look, mixing things up is a great way to keep your mantelpiece interesting. 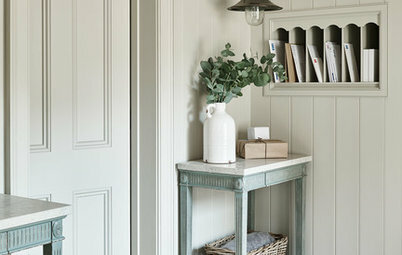 A single statement piece works well to anchor the look, but then add items in front and around it to build it up. Combine various colours and styles to maintain an informal feel and try to vary the size and shape of your pieces. 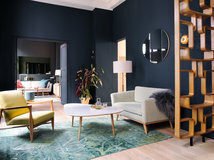 Here, a bold print provides the centrepiece, while a group of small objects have been casually placed to the side of it. 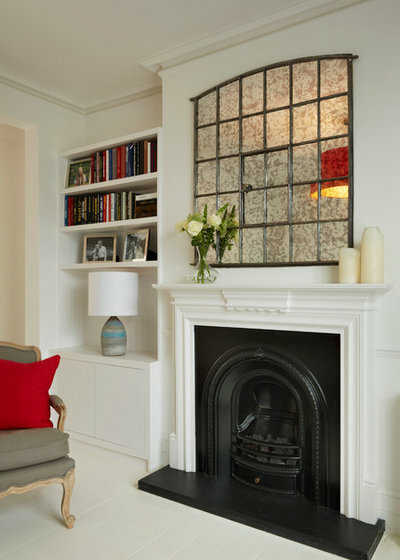 The fireplace surround benefits from little alcoves which are perfect for housing bits and bobs. 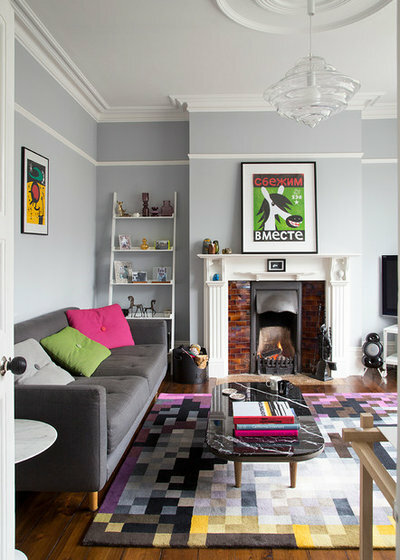 If your space has a cohesive scheme like this living room, opt for similar tones and styles on your mantelpiece. 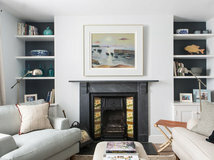 Always factor in the design of the entire room when styling your fireplace, especially as it’s often the main feature. 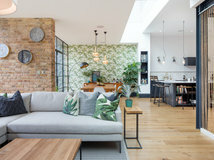 While you may want to avoid being too matchy-matchy, the pieces you choose to display should coordinate with the rest of the room in terms of style, colour and materials. An overmantel mirror is a classic choice, but if you want something different, go for a statement frame or a collection of smaller decorative mirrors. 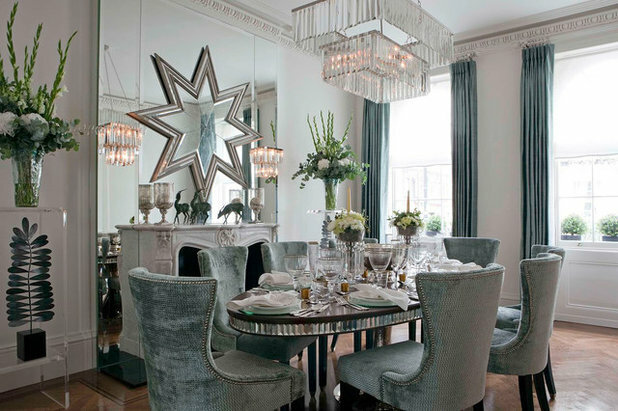 Here, a stunning star-shaped design is hung against mirrored panels. 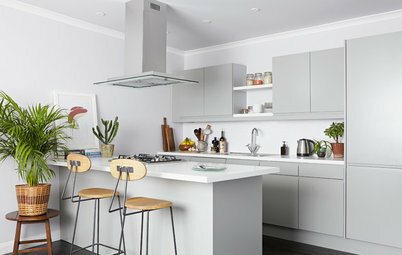 It creates a striking focal point and gives the illusion of height and space. Unlike mirrors in your bathroom or bedroom, you don’t need to be able to see yourself clearly in an overmantel looking glass. This gives you a lot more options. Intricate frames that obstruct your view or unusual shapes are perfect, while still leaving enough mirrored glass to bounce the light back. 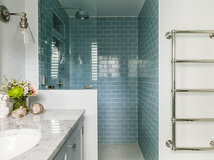 Consider the glass itself too, and opt for convex mirrors and antiqued styles for a more rustic or traditional look. 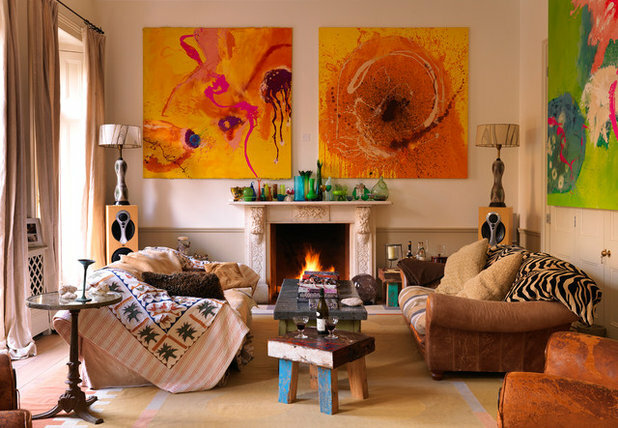 Whether it’s a piece of art, a statement mirror or a pair of candlesticks above your hearth, make sure it’s big. A fireplace is a significant feature in a room and the space above it can look a little vacant. Your mantelpiece needs to be able to hold its own against the fireplace and surround as well as creating a vertical balance. Often the size of an ornament or artwork can seem so much bigger when you first unwrap it or pick it up in a shop, but challenge your instincts and take it as large as you dare! If your fireplace has a hearth, the area in front of your mantelpiece is rarely stood in. As a result, you can adorn the walls with three-dimensional pieces, which have the added bonus of drawing the eye up and creating the impression of a larger room with more space. Got a collection of similar, beautiful pieces you’ve amassed over the years? Cluster them together and fill your mantelpiece with them alone. By choosing a theme and sticking to it, you’ll create a strong look that’s also a reflection of your personality. 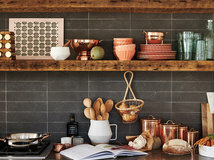 This is an ideal way to show off smaller objects that look lost on their own but create a statement display as a group. Try to pick a style that works with the rest of the space. These colourful glass vessels complement the bright artwork in the room perfectly. A good way to add dimension is to layer different items. Incorporating varying heights and materials creates an effortlessly chic look. Play around with a few pieces before you find which ones work together. Then gradually build it up and swap things in and out to evolve your look. Framed pictures work really well as their thin shape makes them easy to layer, but add in some other pieces to keep it casual. The idea is to look like you just threw it all on there and it just happens to look awesome. 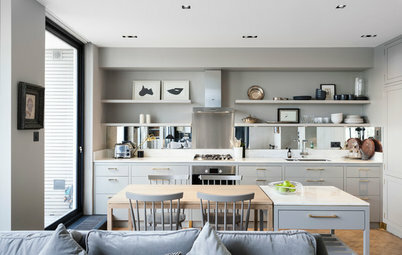 Whether to use symmetry or asymmetry is a well debated topic in interior design. Ultimately, there’s no right or wrong answer, so do what feels right for you. The natural proportions of a fireplace can lend themselves well to symmetrical styling, but some prefer to offset the balance using the pieces on display. For an elegant middle ground, go for ‘almost’ symmetry, where everything is balanced, but not exactly the same. Plants and flowers instantly add softness and life to a room. 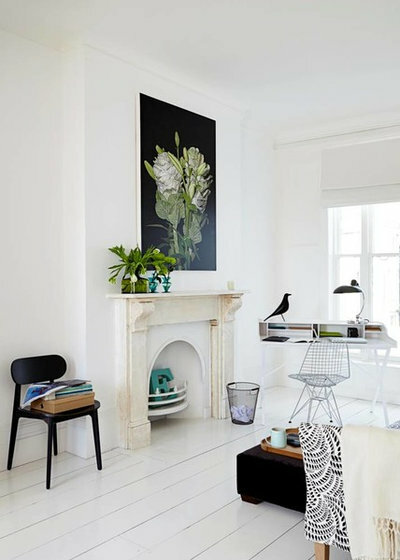 Whether you’re going for a colourful, vibrant scheme or a pared-back, monochrome look, plants and flowers can introduce another texture and add dimension to a mantelpiece. Items on a mantel are far less likely to be knocked over compared with those on shelves in frequently used walkways, so feel free to display larger arrangements of overhanging flowers. Also, think vertically with long trailing plants or tall stems in elegant vases to add height. Will you be trying out these ideas on your mantelpiece? 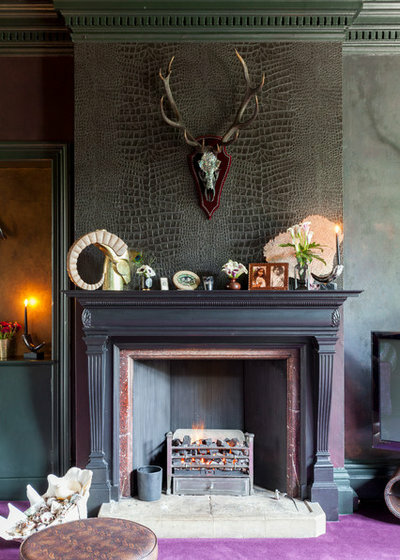 How do you style your fireplace? Tell us in the Comments below. 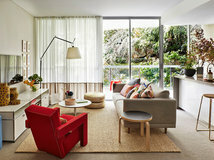 Thank you for featuring Read Interiors! 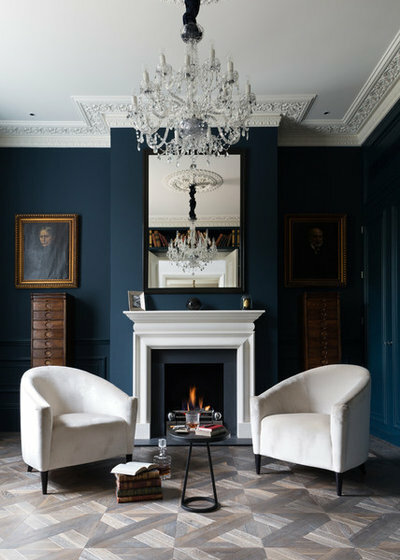 I love fireplaces because they provide a focal point which immediately grounds a room, and there are so many ways in which you can use them - some wonderful ones above! We are thinking of adding a fireplace to our front lounge and building out a fake chimney breast. 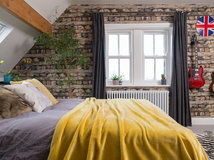 Do you think building out a chimney breast looks better than having the fireplace against a completely flat wall?